We are proud to offer Niseko and Hakuba's largest range of men's ski boots, with over 50 models from each of the following trusted brands to ensure that we can meet the requirements of everyone who presents for a boot fitting. We stock up to size Men's US16. Please contact us at info@bootsolutionsjapan.com if you'd like further information on any specific models that we stock. 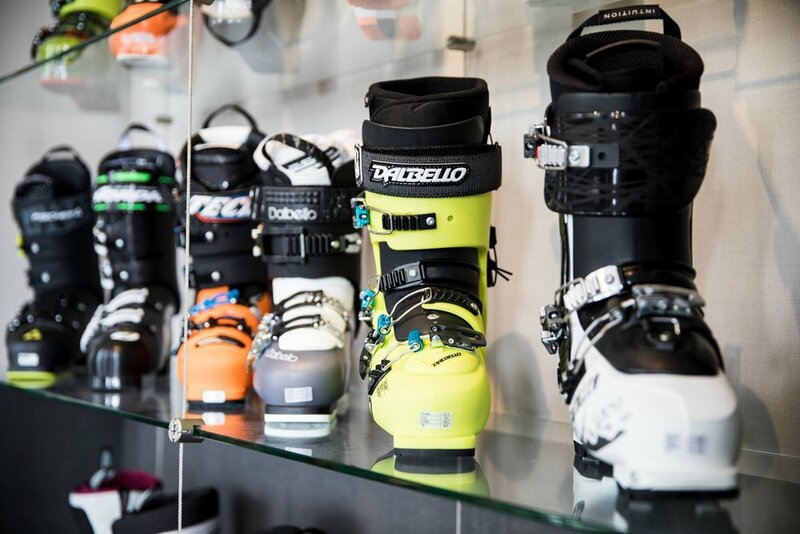 We have organised our ski boot selection into four categories, based on different skier types and preferences. Click on the buttons below to view the models within each category. Accomplished skiers on smoother, firmer terrain. Usually. These powerhouse boots will drive a ski anywhere but their solid soles, rigid bootboards and firm liners set them up for maximum edge hold and stability at speed. Uncompromising performance with stiff suspension. Skiers of all sorts and abilities will find great boots that go anywhere in this group. These boots typically have replaceable soles, softer-than-race shell constructions (i.e., easier on and off), and the liners are warmer and softer than the thin, firm jobs found in the Frontside class. These boots offer a blend of performance, comfort and convenience for a variety of skiers without placing a premium on hike modes or uphill mobility—these are ripping boots that don't stray too far from the chair. This category is about expanded options. One of which is mobility—almost all of the boots in this category offer a hike mode feature that releases the cuff for more range of motion during walking, hiking or skinning. Another important option here is convenience. You don't have to be adventurous to appreciate this group's more shock-absorbing construction or more grippy boot soles. These boots are about going up and then down—they are the lightest of all the boots and each model here is tech binding compatible, meaning while they can be used with a frame-style AT binding they have tech fittings at the toe lug for use with lighter backcountry-oriented tech bindings. They cannot be used in a traditional alpine binding.